Whether the warning signs take the form of discolored walls or a musty smell in certain parts of the house, the symptom it points to is clear. Mold in your home is no joke, and can ultimately lead to health problems for you and your family. Mold is a fungi, and it’s present inside and outside your home. Outdoors, it helps break down dead organic matter. It can be found growing on soil, food, plant matter and other parts of your home’s environment. When it takes hold, it begins to send out microscopic spores through the air, starting new mold colonies when they find the right environment. What is the right environment for mold? For indoor mold to thrive, it simply needs moisture. That moisture can come from an obvious source, like a leaking pipe or leaky roof, but it can also come from condensation on pipes. Mold also requires a food source. Plywood, drywall, carpet and carpet padding can all support mold colonies. Some of the warning signs of mold are pretty obvious. For these warning signs, you can skip the testing and move right to remediation of the problem. Other indicators may not be so obvious. Special attention should be paid to any of these less-than-obvious conditions especially if you start noticing one or more issues are present. For many homeowners that have an non-visible mold problem, smells may be the only indicator that they have a problem. If you can smell it, it’s somewhere under something or inside something, like a wall or crawlspace. A full-home inspection is necessary to make sure the entire problem is eradicated. Smells in one part of the house could be wafting from somewhere else depending on how your home is ventilated. Mold is a powerful allergen that will exacerbate chronic problems, and it doesn’t take a lot. If your allergies seem to be even more debilitating at home, that can be a clear indicator that your home has a mold problem. A runny nose, postnasal drip, chest tightness, inflamed eyes, nasal congestion and sneezing when you are in your home all suggest a mold issue that needs to be addressed. If you have had an issue with water damage at any point in your home’s life, you can be pretty confident you have mold growing somewhere in your home. Flood damage, a leaking roof, leaking pipes, and pipes with condensation on them can all promote mold growth. 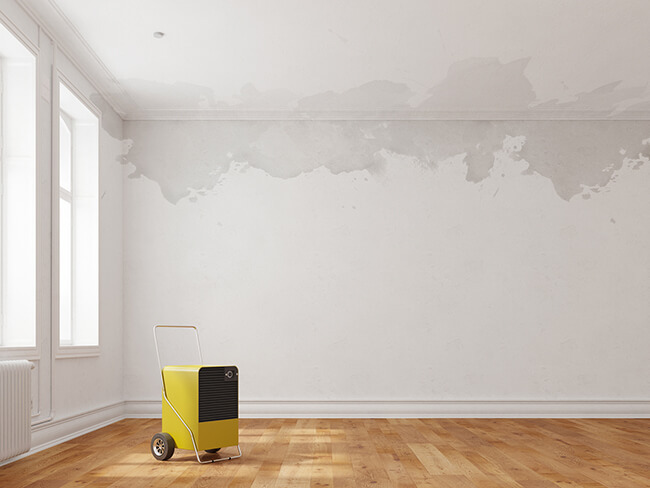 Look for past water damage such as warped, bulged or bowed walls, discolored walls, ceilings or floors and bubbling, cracking or peeling wallpaper or paint. If your home or family exhibits any of these signs, it’s imperative you contact a professional to help rid your home of mold. Mold issues won’t disappear on their own, in fact, if left to their own devices it will only get much worse. Getting your whole house inspected for mold is the most important thing you can do for the health of your family and your home. 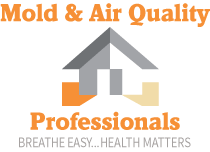 Contact Mold & Air Quality Professionals for a free inspection of your home!